Four doctors told her it was nothing to worry about. Only the fifth told her the horrible truth. In January 2016, Rachael Sawka from Winnipeg, Canada noticed a small lump on the back of her neck. 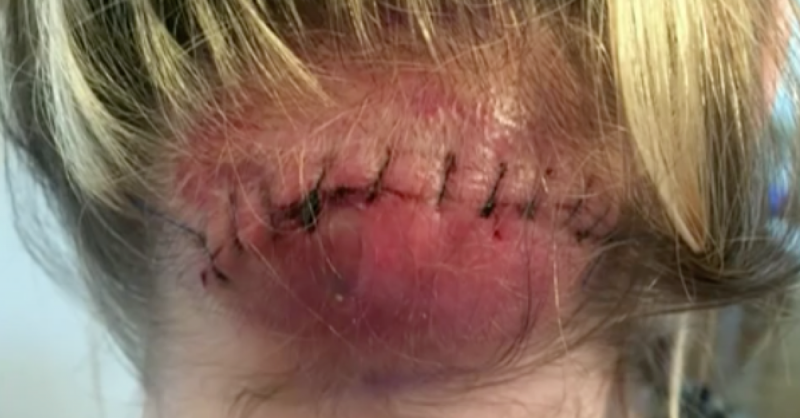 When she went to the doctor to have it checked out, she was told that it was only a cyst. At that point the lump was only the size of coin and Rachael was not overly concerned. 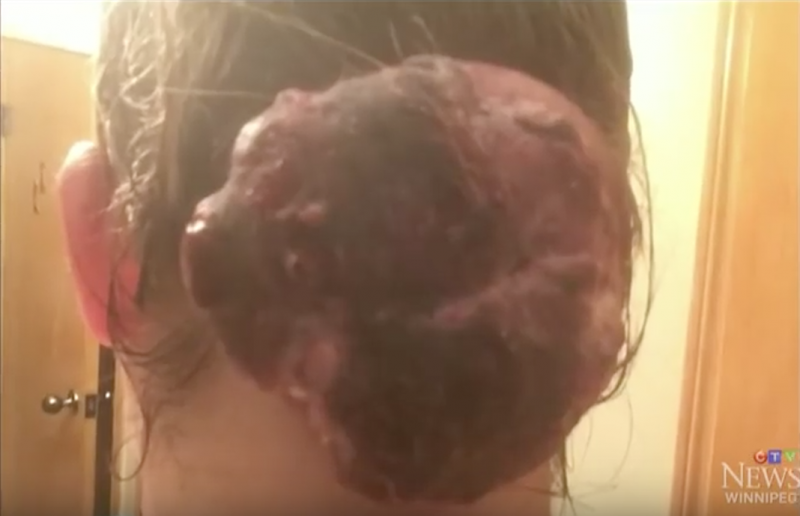 But when it started growing, Rachael decided to get a second opinion only to hear from that doctor and three more that the growth was simply a cyst and nothing to worry about. Rachael, however, knew that something was very wrong and consulted a fifth doctor who was finally able to make the correct diagnosis: Rachael had a cancerous tumor that was now seven inches wide. Rachael underwent surgery during which part of her cranial bone was removed and replaced with a titanium plate. In her opinion, this kind of extremely invasive surgery wouldn’t have been necessary if she had received the right diagnosis from the beginning. Fortunately the operation was successful and she is now looking forward to a complete recovery. But Rachael is determined to bring awareness to this problem and is encouraging others to follow their instincts and seek second or third opinions when they feel that they have a serious health problem.